Electrical – Reeders A/C & Heating, Inc.
Reeders provides a complete range of electrical contracting services for new constructions, renovations, home improvements and many other types of buildings in Fayette County and surrounding areas. Whether you need an inspection performed or have your entire house rewired, we have the skills, manpower and knowledge to do it seamlessly and exactly to code. 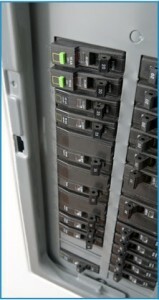 We can handle all major or minor electrical services. If you’re in need of residential or commercial electrical contractors, look no further. We provide expert troubleshooting and electrical repairs, and help with your remodel. Call Reeders today for more information or service! We have established an impeccable reputation for total professionalism and stand behind each of our employees to be completely honest and ethical in all their customer interactions. Call us at 1-979-968-5277 to schedule service or a consultation today.